Bergenline X-Ray Diagnostic Center has been serving the residents of Hudson County for over 35 years, utilizing the lastest technologies in all of our diagnostic equipment. Our motto is "Honesty and Exceptional Service", which we strive to provide each patient who visits our state-of-the-art facility. 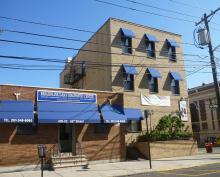 Visit Bergenline X-Ray Diagnostic Center today for all of your imaging needs.